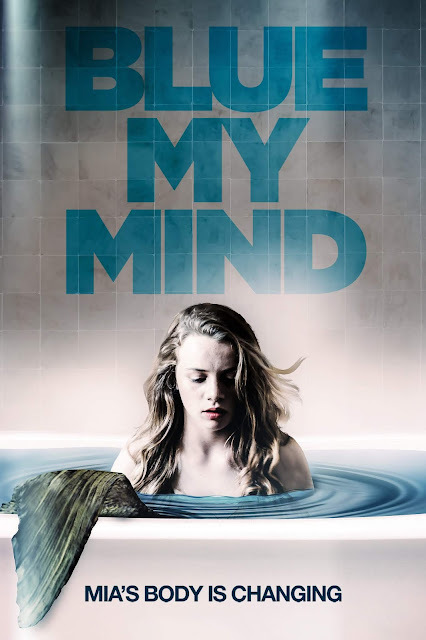 There’s something frighteningly fishy going on in Lisa Brühlmann’s shocking debut feature BLUE MY MIND released through Uncork’d Entertainment. 15-year-old Mia and her parents move to the suburbs of Zürich. While Mia plunges into a wild teenager existence, her body begins to change oddly. First hardly noticeably, but then with a force that threatens to drive her out of her mind. Mia’s transformation progresses inexorably, and she turns into the being which has slumbered within her for years... and is now gaining the upper hand. BLUE MY MIND is out now on VOD on such platforms as iTunes, Amazon Instant, Vudu, Google Play, xbox, Fandango Now, YouTube and Dish.